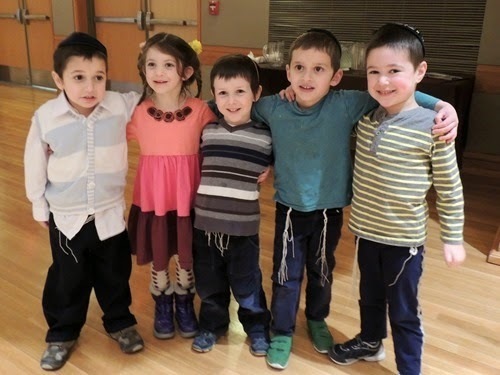 This past Sunday, we attended a party to celebrate the completion of the writing of a Torah Scroll. The Torah is the first five books of the Bible and more broadly, includes all Jewish law and tradition. The words of the Torah are written on a scroll, by a person trained to do so, on parchment in Hebrew. There are 304,805 letters in the text of the Torah and each must be written with considerable care to avoid any errors. Finishing the writing of a Torah is a cause for a celebration. 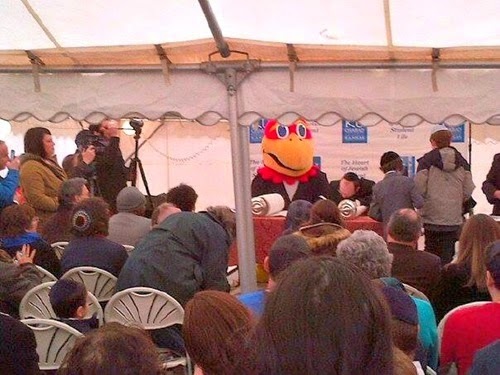 The celebration we attended took place at the University of Kansas and the Torah completion was done by our friend, who is a trained scribe. 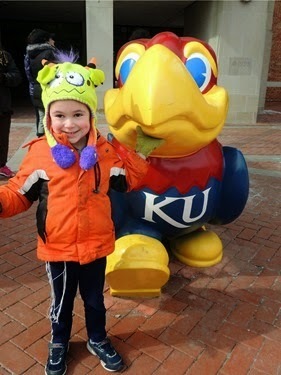 The KU Jayhawk was supervising! 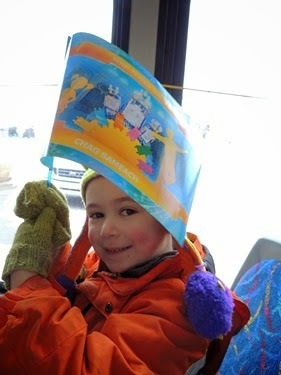 After the Torah was finished, there was a parade, but it was really cold outside, so we took the bus! 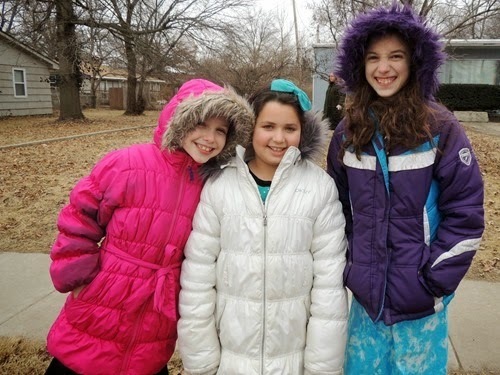 Gabbie and friends on the way to the bus. 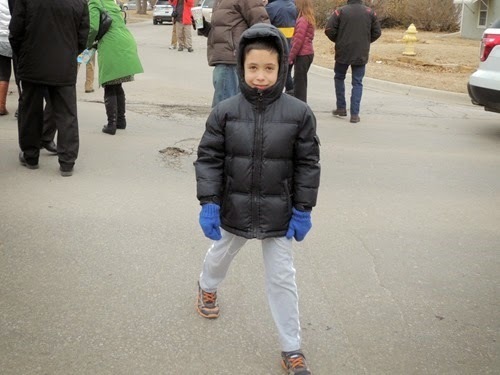 Zachary on the way to the bus. Simon on the bus and at our destination, where we had a nice lunch. 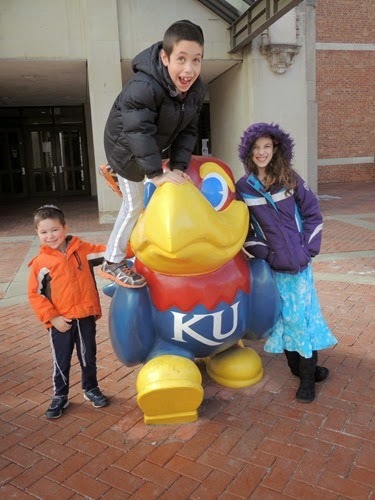 Simon and his friends from school – aren’t they adorable?! After lunch and before heading back home. I would have liked to take more pictures of the event to share, but at least I am able to share what it was all about!